Gasoline, 4-cylinder in-line carburetor engine. The engine ZMZ-4063.10 is the carburetor version of the ZMZ-4062.10 engine with the simplified fuel supply system. Despite lesser power as compared to its injection version the engine provides the required traction performance of vehicle. 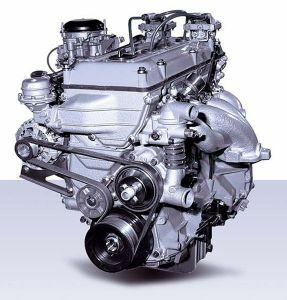 The engine is designated for installation on light-duty trucks and minibuses.